This summer I offered to have some art classes with some young ladies 8-9 years old. They all love art and love to create. Since they are younger, I did not want to weigh them down with drawing or painting classes. I wanted for them to just enjoy “art”, but I also wanted them to see how art is a part of everyday life. So each week we will be doing art on a different surface and using different products. And we will be making things that we live with, use and give as gifts. Each week we will be doing a different project and I will be sharing with you what we are doing. I would love for you to be following along and creating with us and/or teaching someone else the joy of creating. I love teaching kids. They are always so happy with what they do, so each week they will be painting their own designs. I might give some suggestions but find that they have great ideas themselves. I know not all of us feel that confident so I will also be creating some step by step projects throughout the summer that relate to the projects we are doing and I will do them as separate posts. I do have another class of older student that I taught drawing and painting to last year. They will be doing the same projects, but I might be giving them a few extra things. In this class I want my students to just enjoy creating. I hope that they will be able to see art in the things around them. But most of all I hope to give them a foundation and confidence to enjoy art for the rest of their lives. I hope you will join us for this artful journey this summer. Your kiddos will love your classes! 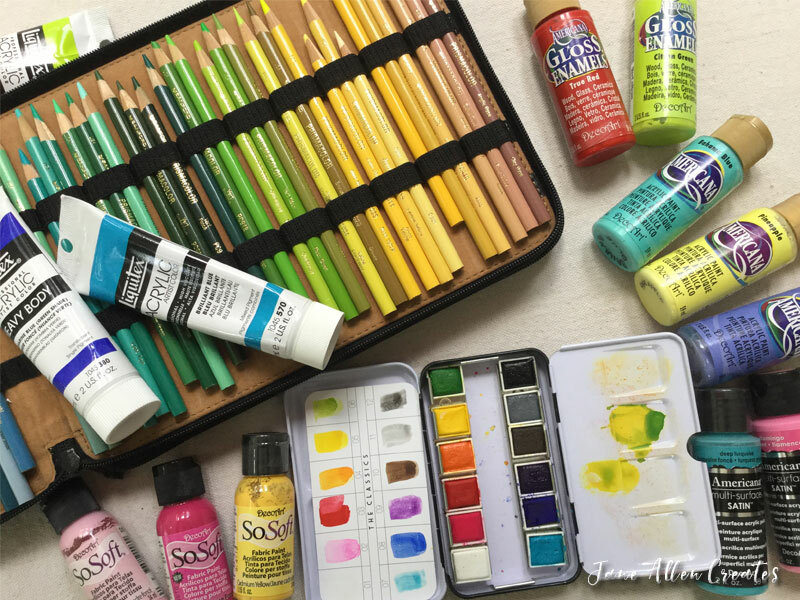 You have fun Art supplies and great talent to share! Can’t wait to see your projects!!! Thank you Deborah, I hope you willlike them. I so so wish we were closer! I am thrilled you are doing this! Thanks for posting about it too! HI Jane! Can I sign Katy up for some of your classes?